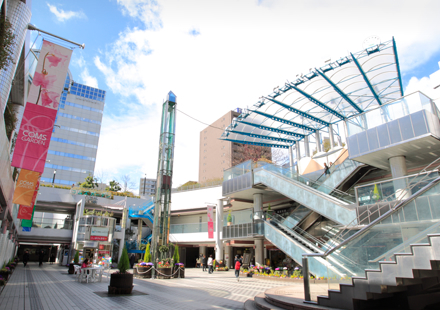 "Coms Garden", an unusual underground mall in which you can enjoy the blue sky, is connected to the Kyobashi Terminal, which includes the JR, Keihan, and Subway stations, and to the pedestrian deck that leads to the Osaka Business Park (OBP) and Osakajo Hall. 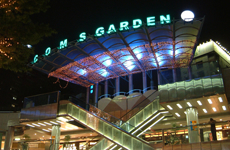 The leafy sunken garden located in the middle of the mall is always surrounded by flowers in season, and serves as a seasonally-changing oasis in the business district. 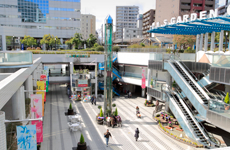 People leisurely enjoy a relaxing moment here, while eating, having a drink, or chatting.